Gorkha or Gurkha is situated some 140 km west of Kathmandu at the altitude of 1,135 m. The district is the ancestral hometown of the Nepal's royal family. The town of Gorkha is only 24 km off the Pokhara-Kathmandu Highway. 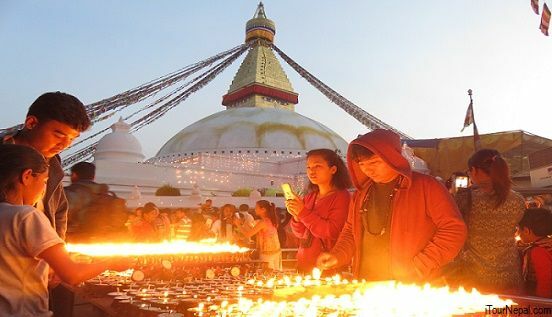 This tour of Gokrha Manakamana gives more insight into Nepalese cultural life and history with mesmerizing landscape and Himalayan sightseeing. 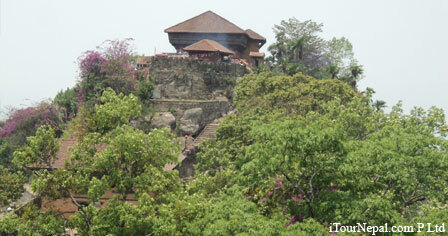 Manakamana, the wish fulfilling goddess on the ridgetop is accessed by 1.3 km cable car. 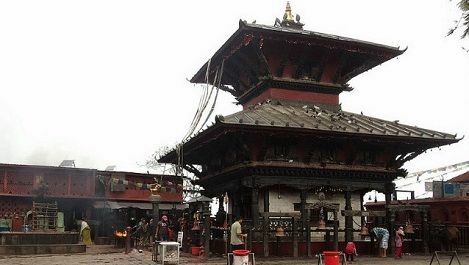 The temple is one of the most popular Tantric goddess Temple in Nepal. This side trip with an expert tour guide provides a close cultural encounter and the social and ethical reason of blood sacrifice. 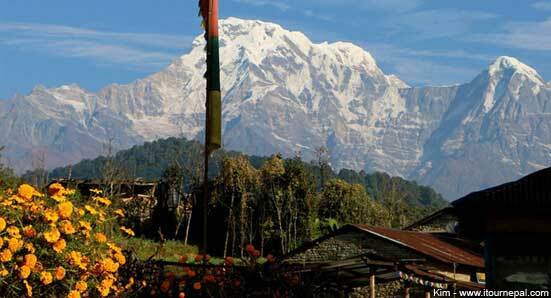 There is a nice 3 – 4 hrs walk along the ridge with Mt Manaslu and Ganesh Himal looming at a distance. 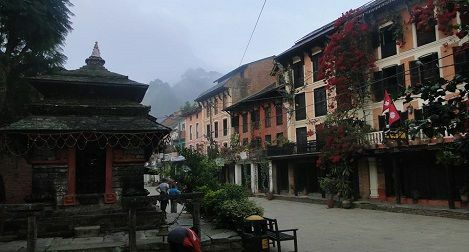 Gorkha's small town is perhaps the most important historical town of Nepal. From its hilltop fortress, King Prithvi Narayan Shah, the ninth generation paternal ancestor of the saha king, launched his lifelong attempt to unify the independent states of Nepal, a wildly ambitious project which succeeded due to his brilliance, and the effectiveness of his locally recruited troops. The British term "Gurkha" evolved from the name Gorkha, referring to the famed fighting soldiers of the region. Gorkha's main attraction is the magnificent Gorkha Durbar with a fort, a palace and a temple with excellent views of the surrounding valleys, and the Mansalu range. Manakamana temple is 100 km / 3 hrs on Kathmandu - Pokhara highway. An Austrian - engineered cable car sweeps up an almost impossibly steep hillside to the ancient Manakamana temple, one of the most important temples in Nepal. Hindus believe that the goddess Bhagwati, an incarnation of Parvati, has the power to grant wishes. Pilgrims sacrifice goat or free pigeon according to their vow as their wishes are fulfilled. Beside being center of culture and religion, the ridge top Manakamana temple also ovvers good veiw of Mt, Manaslu. Day 01 :Drive to Kurintar (100 km / 3 hrs) and take a cable car to Manakamana temple at 1,350 m hill overlooking the Gorkha and Himalayas towards north. Walk down to Betini village (20 mints) to be guest of community homestay. Village tour, sunset view over the himilayas and cultural program in the evening. Day 02 : After breakfast start our trek to Bkreshower Mahadev temple and Lakhan Thapa cave. The Himalayan view appears magnificent from the Lakhan Thapa cave and above. The trail further follows the ridge through the forest for 2 hrs and finally come down to little hamlet of Tinmane Bhanjyang. From there we gradually climb down to Khimti Bhanjyang and drive to Gorkha. Day 03 : Hike to the palace of Gorkha in the morning. The hill offers magnificent view of Manaslu range. After breakfast drive back to Kathmandu or Pokhara. Day 03: Drive 3 hrs to Kurintar and ride a cable car to Manakamana Temple. Tour around, lunch and hike for couple of hours. Take a cable car down or hike down to Lakshmi Bazaar. Overnight in Gorkha. Enjoy the sunset over the Manaslu and Ganesh Himal. Day 04: Visit the historical museum and the fort-palace of Gorkha Durbar in the morning. Later drive 2 hrs to Bandipur village. Check in the hotel in traditional Newari style building and later go on a village walk. In the evening hike half an hour to Thani Mai hillock for sunset view over the Himalayas. Day 05: Drive 2 and half hours to Pokhara. Check in hotel and later hike to World peace pagoda. Day 06: Pokhara sightseeing or a day hike. Day 08: Drive to the airport for final departure. Combine your Gorkha tour with Chitwan Safari. Chitwan National Park is just 95 km from Gorkha. Pokhara is the base for beautiful hiking in the foothills of the Annapurna. Short hiking could be planned for a day or two. 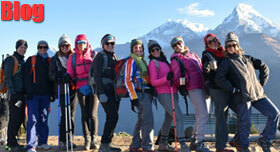 Kathmandu and Pokhara is also base for several hikes and treks in the surrounding hills. 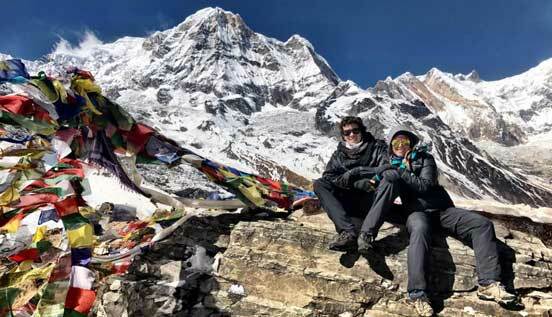 You can add a day hike or short trek from Pokhara or Kathmandu.